Now I’m done eating for a few days I hope, I can just lie back, relax and watch some good old Christmas anime. Oh wait, we went over this before didn’t we. Oh well, between all the Home Alone, Die Hard and Muppet’s Christmas Carol, I’m guessing I’ll manage to squeeze in some trashy anime. Although what I’ve got to talk about today is anything but trash. Today’s entry probably exists as the show I never actually expected to love, let alone watch in the first place. It’s a reminder that I need to continue broadening my horizons with the medium, especially when looking at the shows I’ve still got to talk about. With a mixture of shame and no regrets. As a rule, I don’t really watch too much comedy. I don’t know why, I just never sit down and think, “oh yeah, I’m going to watch this thing whose sole purpose is to make me laugh”. I suppose it’s because so many other movies and T.V. shows do such a good job of inserting humour into themselves while also telling another story, why limit myself. That could be said to go double when it comes to anime. It really comes down to a culture gap. I tried watching Pop Team Epic, and while I found it amusing, I didn’t find it funny. There was one show that managed to break through this barrier by not only being hilarious, by also by being incredibly sweet and touching. 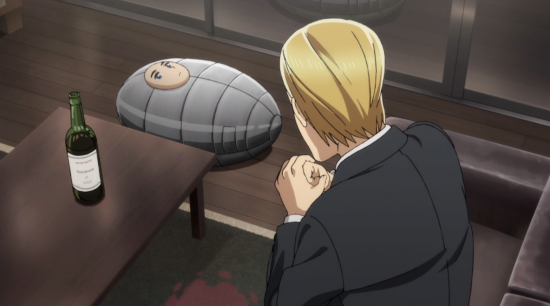 You could forgive a lot of people for passing Hinamatsuri over as some weirdly promiscuous show when hearing the set up: Some Yakuza guy has a naked child show up in his home with psychic powers. It already casts shades of the darker side of a lot of anime out there. 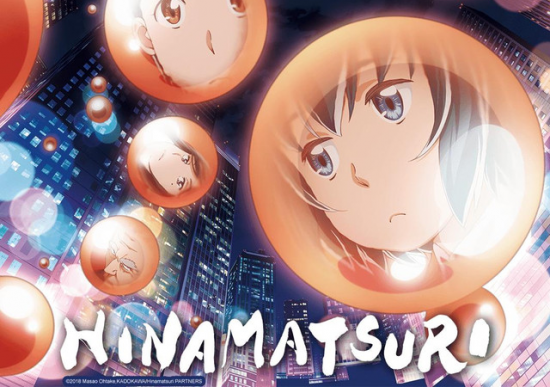 But that’s really not what Hinamatsuri is at all. The show is about the relationship between Hina; a lazy, selfish and pretty dumb kid (who just so happens to have powerful psychic abilities) and Nitta, a mid ranking Yakuza Liutenant, who despite his job, is an incredibly nice dude. And spoilers, the whole show is an allegory for parenthood. As the series goes on, we’re introduced to a gathering of other girls, some from Hina’s world and some from the real world. And we follow them on their journey through adolescence. Weirdly enough, despite the premise involving both psychic powered living weapons and Yakuza, the events of the show are really mundane. Dealing with relationships, work and looking out for one another. All of the girls have their own glaring character flaws and work to better themselves throughout the series. Some fail much to hilarious effect, and some succeed in some of the most heart meltingly sweet moments of anything I’ve seen this year. And then there’s Hina who just makes Nitta’s life an utter pain. But despite all this, the pair do care for one another in a father/daughter kind of way. I really loved this show, in a way that snuck up on me and punched me in the gut. It’s genuinely funny, it’s sweet, it’s surprising and it’s a show that makes me really happy that I found myself watching anime again this year. 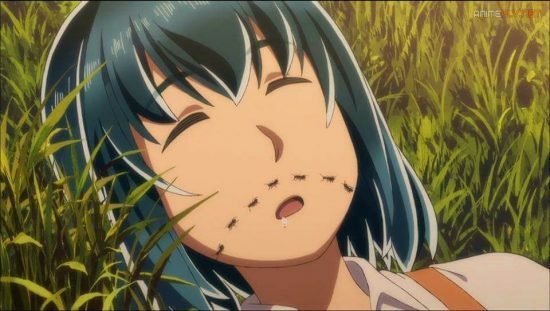 While I am still mostly a Shonen trash boy, Hinamatsuri gives me hope that maybe this time next year my tastes will have grown. 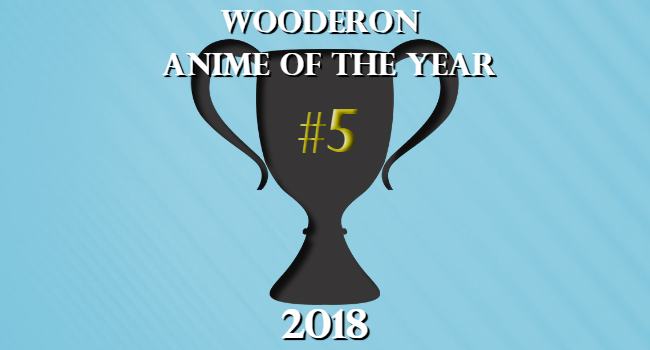 Posted on December 26, 2018 December 18, 2018 by WooderonPosted in 2018, Best of Year:Tagged anime of the year, anzu, comedy, hina, hinamatsuri, Keiichirō Ōchi, nitta.